NEW BRUNSWICK, New Jersey -- The murder trial of a former New Jersey woman accused of killing her 5-year-old son in 1991 is nearing its conclusion. Both sides rested their cases Tuesday in the trial of Michelle Lodzinski. Closing arguments are scheduled to start Wednesday morning. Lodzinski was arrested in 2014 in Port St. Lucie, Florida, where she was living. She had long been a suspect in Timothy Wiltsey's disappearance, and she chose not to testify during her trial, which started in mid-March. Lodzinski had said her son vanished while they were at a carnival in Sayreville in May 1991. His remains were found the following year in Edison, several miles away. Lodzinski later changed her story, saying Timothy had been kidnapped from the carnival. A former auxiliary police officer testified in March that Lodzinski showed no emotion when she reported her son missing from a carnival. Kevin Skolnik, who served with the Sayreville police force, said on the stand that Lodzinski was not hysterical, screaming or upset when she made the report in 1991. However, defense lawyers presented previous statements that said Lodzinski was "confused and was like a zombie." In their opening statement, prosecutors showed jurors a blanket that was found near Timothy Wiltsey's body, and said it came from Lodzinski's apartment. The item was identified by Lodzinski's niece, who often babysat the boy. "The evidence will show it was his mother, Michelle Lodzinski. The very person who brought him into the world took him out of it," assistant county prosecutor Christie Bevacqua said. 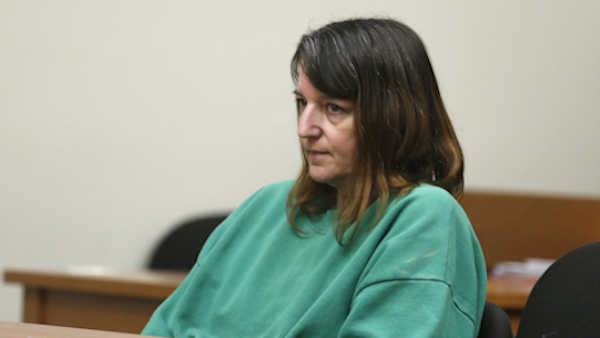 However, defense lawyer Gerald Krovatin told jurors that Lodzinski was a loving mother and that no one has ever found any evidence that links her to the boy's death. "There is probably nothing more horrible to contemplate than the death of a child, any child, especially your child," Krovatin said. "Maybe the only thing worse is the day when they turn around and someone falsely accuses you of killing your own child." Though Lodzinski was considered a suspect from early on, the investigation was rekindled in 2011 when authorities took a closer look at a reference in the case to an anonymous caller. In a transcript of grand jury testimony that was attached to a defense filing, an investigator described how an anonymous caller said he had information about it. The tip wound up referring to a boy named Tommy, but it spurred Middlesex County investigator Scott Crocco to revisit the case file and, eventually, to interview the niece about the blanket.